The furor at Penn State adds another dimension to the discussion of the purpose of intercollegiate athletics. A few months ago I acquired an offprint of an article by the first president of Reed College, William Trufant Foster, entitled “An Indictment of Intercollegiate Athletics.” I have uploaded a .pdf file of this essay to Internet Archive. It was initially published in the Atlantic Monthly of November 1915, and it reads very well today. And it makes points that are still more pressing today. 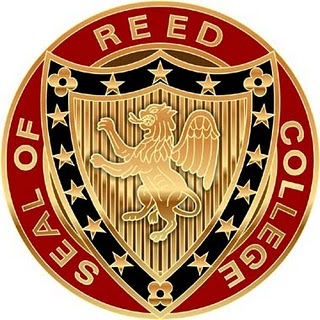 When I attended Reed, two years of physical education were required. I took tennis, sailing, volleyball, and intermediate folk dancing (I should have taken beginning). 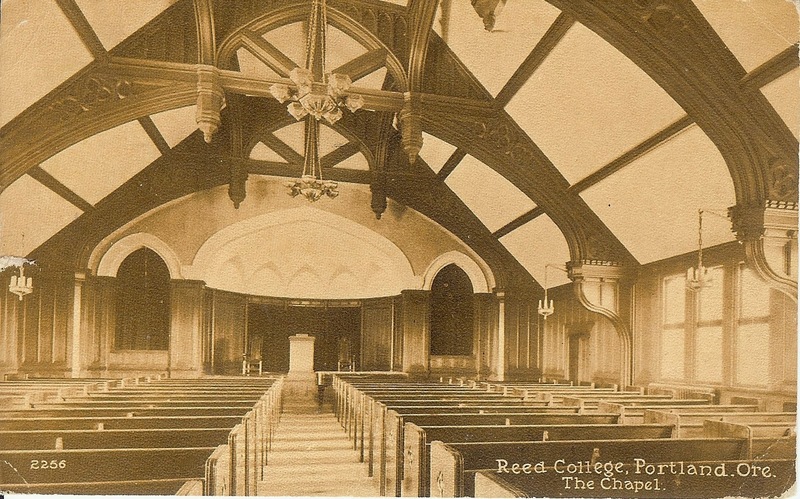 This is the chapel in Eliot Hall of Reed College, as it was at its completion in 1912. It is quite recognizable today; the pews, bare wood through the 1960s when I sat on them, today have a semblance of padding. This card was sent in February of 1917 by a Reed student named George to his Aunt Alice, Mrs. John Steele of Tolland, Connecticut.